A horse that can work a gate well has been and always will be sought after. Operating a gate, working alleys, and cattle well are a sure way to get invited back to an event or get hired, depending on your position. The gate offers us a great opportunity to let our horses have a job and allow them to have some independence. 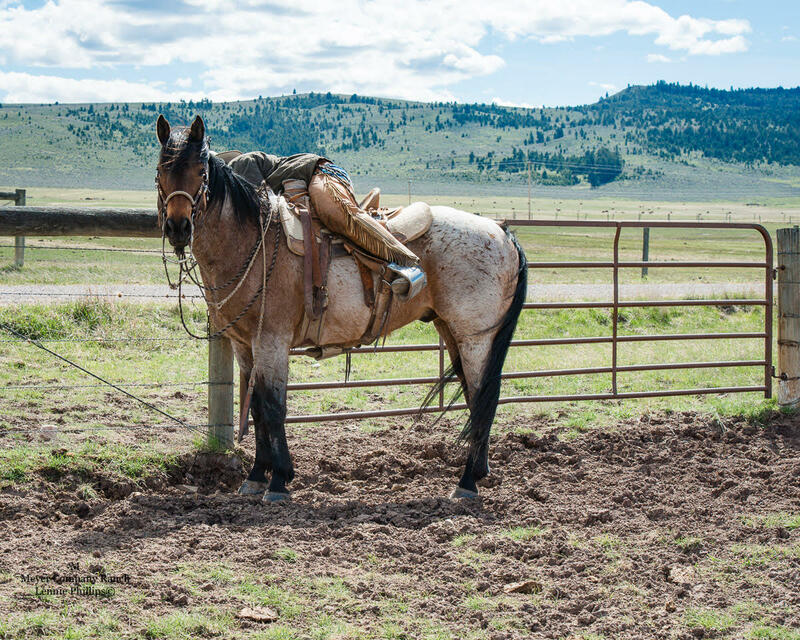 In the beginning, when you first teach your horse to maneuver the gate, you will be present and helping him, but before too long you will be able to sit pretty and run the latches while your horse picks up the slack and makes you look good. The key is the foundation, taking the time in the start to show your horse exactly where you would like him to be. We do this by keeping him busy when he is out of position and giving him peace when he finds that sweet spot. On a horse with just a ride or two I will most certainly make the gate operation as easy as possible for the horse. Depending on the individuals character I will make a conscious decision to either push the gate away from me for the first time or pull it towards me. I will push the gate if I am on an unsure, flighty horse, However I will pull the gate towards me if I am on a more easy going confident horse, using the gate to help me maneuver my young horse. The first few times you open a gate are significant, so try and make it a good experience by making it simple, with many breaks when the horse is in the correct position. Now for older horses, or horses with a poor gate opening experience that tend to not want to stand… Preferably incorporate your gate work into your practice on this particular horse. Try not to do this when everyone is waiting on you and you’re in a hurry. Ask your trusty steed to stand by the gate and try to open it. If at any point he or she elects to leave, quickly or at the same time as their mind switches to leaving, get them busy. In the video I go over a few maneuvers you could use, but really try and do your own thing and work on what you like until the horse feels nice and relaxed under your body. Once they are relaxed, offer them the gate and allow them some peace. If this doesn’t happen on your first try, no worries, just keep on moving those feet. You want to have a nice horse anyways so try not to curse at the movement and instead look at it as an opportunity to work with your horse. Rinse and repeat as much as necessary until your horse is a true gate operating expert. As always I hope this helps someone along their horsemanship journey and I hope you are all having a great day and happy holiday season.